Lagos Chinese Restaurant, Airport Hotel, Ikeja, Lagos. 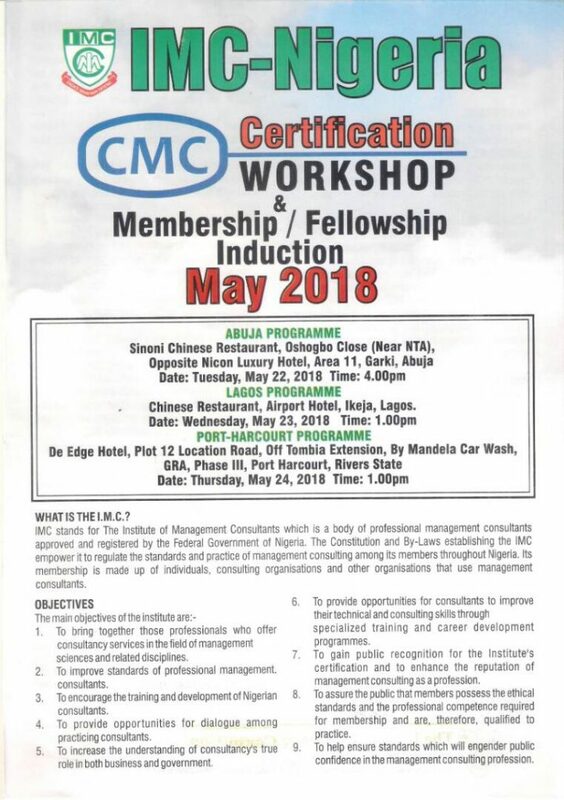 The Institute of Management Consultants Nigeria is pleased to inform participants of the CMC Certification Workshop and Membership/ Fellowship Induction for the month of May 2018. The Event is scheduled to hold at Lagos Chinese Restaurant, Airport Hotel, Ikeja, Lagos. 2018-5-23 1:00 PM 2018-5-23 Europe/London CMC Certification Workshop, Membership & Fellowship Induction in Lagos. 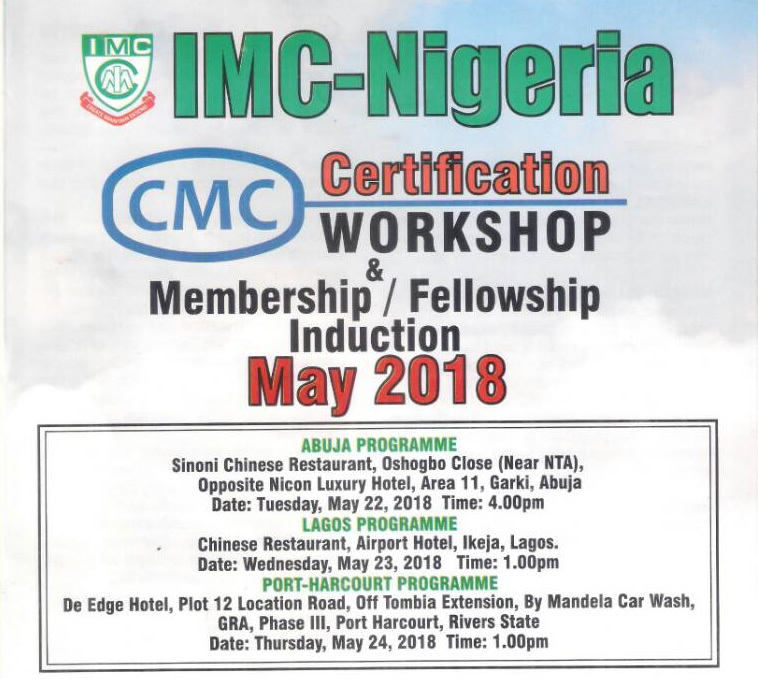 May 23rd, 2018 IMC Nigeria has organised CMC Certification Workshop, Membership & Fellowship Induction in Lagos - May 23, 2018 at Lagos Chinese Restaurant, , Airport Hotel, Ikeja, Lagos. Lagos Chinese Restaurant, Airport Hotel, Ikeja, Lagos.